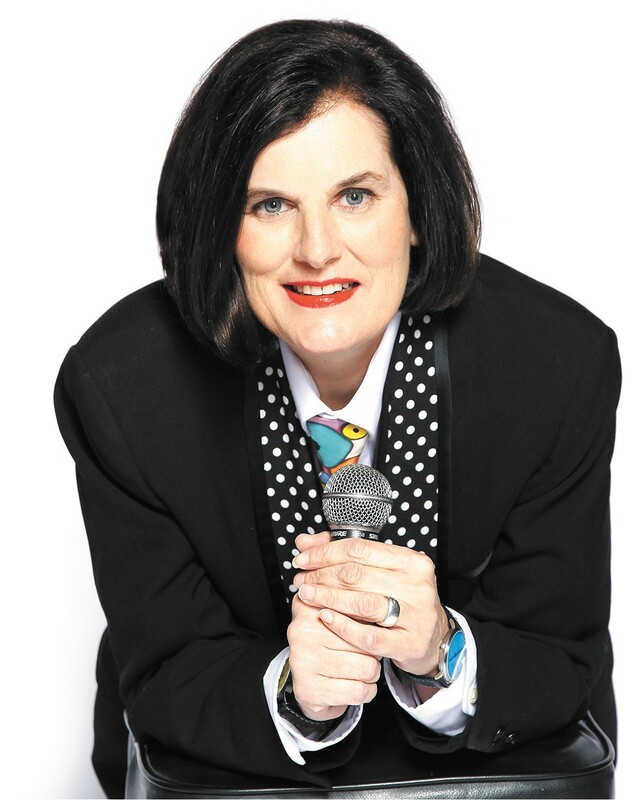 Paula Poundstone is no scientist. She will be the first to tell you this, as will her fans who know her best for decades generating laughs doing stand-up. So will the many people who have listened to her set the unofficial record for losses on the weekly National Public Radio game show Wait Wait... Don't Tell Me! Even so, Poundstone spent about seven years conducting "experiments" in pursuit of what she hoped would be answers to one of life's big questions — what is the key to happiness? "Is there a secret?" Poundstone writes in The Totally Unscientific Study of the Search for Human Happiness, which was published last month. "I don't know how or why anyone would want to keep it a secret. Where could it be? Is it deceptively simple? Does it melt at a certain temperature? Can you buy it? Must you suffer for it before or after?" There are no spoilers here, other than to say reading Poundstone's pursuits to "get fit," "get organized," "get earthy" and "get up and dance" are a hilarious window into the world of this comedy lifer and single mom (to three children and dozens of animals). "My first book (2007's There's Nothing in This Book That I Meant to Say) took nine years, and I thought when I started this one, 'Well, there's no way in hell it's going to take nine years!'" Poundstone said in an interview from her California home. "This took seven. Some of the experiments took a day, and some of them took months, depending on what I was doing. Somewhere during the 'get organized' experiment, I really suffered terrible writer's block. "In essence, they're both memoirs, which I tell people I get to keep writing because I'm not dead yet." Indeed, the 57-year-old is still going strong as a stand-up performer nearly four decades after she got her start in Boston; she headlines the Bing on June 22, and does upward of 75 shows a year. Within a decade of first getting on stage, her improvisational style and capacity for mining her audiences for off-the-cuff jokes earned her several HBO specials and the 1989 American Comedy Award for "Best Female Stand-Up Comic." In 1992, she became the first woman to host the White House Correspondents' Dinner. She hasn't slowed down in the years since, save for a period recovering from alcohol addiction, doing everything from hosting her own series to providing voices for animated movies and TV shows and penning articles for a number of outlets. While writing Human Happiness might have been a struggle at times, there's no evidence of that for the reader. What comes through, besides Poundstone's obvious knack for setting up jokes, is her love for her family (pets included) and her willingness to throw herself, quite literally, into the project. The book is full of hilarious "qualitative lessons" like those found in her "Get Fit Experiment" that entailed months of taekwondo lessons: "happiness may be overrated" and "I have lost twelve pounds, but I have a bad feeling that my fat has a highly developed homing instinct." Perhaps the best section is her "Get Wired" chapter, in which she chronicles her later-than-most dive into computers and social media. Her delayed start had some advantages for the book. "I came to computers later than some, although the book took seven years to write, so it was right around when Twitter was getting started," Poundstone says. "When I saw Twitter the first time, I really was, 'Wow! Look at that!' I no longer have that reaction. "There were lots of really interesting things about that chapter, because I did come to computers late, and because I happen to have documented my initial few months' experience with it. I fell into the rabbit hole as quickly as most people, except I was writing about it as I did it." She came to know Facebook as we all have — excitement/dread at finding old high school "friends," the frustration of keeping track of multiple passwords — but also saw the addictive aspects, both in herself and her son's obsession with video games. "It's sad what happened to him, it was years lost," Poundstone says. "Years of truly real, hard-core addiction. You don't have to be a social scientist or brain scientist to see it." That part of her research for the book occasionally bleeds over into her stand-up shows.